After more than a decade of rapid expansion in international enrolments, the focus in major study destinations is turning more and more to diversification. And with good reason: roughly 60% of all international students in the US, for example, come from only four countries. China is the number one sending market for American educators, and alone accounts for about 60% of total enrolment growth in the US over the past decade (and nearly a third of all foreign students in the country today). The situation is similar in the UK where the top five non-European markets account for nearly 60% of all non-EU enrolment in British higher education. China again stands as the number one source market, and sends one of every three non-European students in Britain. Canada’s top four markets, meanwhile, send nearly six of every ten foreign students in the country. And the same pattern plays out in Australia where four markets again represented nearly half of all student commencements through April this year. But 2016 has also been marked by some significant disruptions in emerging markets – notably Brazil and Russia – that international educators have seen as important pieces in a broader diversification strategy. As always, there are a number of moving pieces this year – including immigration policy, foreign exchange controls, and world commodity prices – that bear on near-term market conditions. The search for the next tier of promising sending markets, however, continues all the same and we take a closer look at five promising candidates below. With an economic growth rate of 6.7% over 2015/16 – comparable with China’s – Vietnam is steadily pulling more of its citizens out of poverty and into the middle and upper classes. One-third of Vietnamese are expected to join the middle class by 2020, and as of 2016, Vietnam boasts the world’s fastest growing percentage of ultra-high net-worth individuals. As families secure more wealth, they are better able to send their children abroad – and there are a lot of children: the median age in Vietnam is just 28.5. Already we are seeing more Vietnamese students in the rest of the world. Japan welcomed 38,882 in 2015 (up 47.7% from 2014), and the US enrolled 28,883 in the same year, a significant increase as well. Ninety percent of outbound Vietnamese students are self-funded. growing from 16% of the population in 2002 to 27% in 2011. President Juan Manuel Santos’s mission is that Colombia will be Latin America’s most educated country by 2025, and in keeping with this goal, he increased Colombia’s education budget by 5.75% to US$14.52 billion in 2015. In so doing, the president made 2015 the first year ever that the Colombian government spent more money on education than on the military. Tertiary enrolment in Colombia more than doubled between 2003 and 2013 to reach 2.1 million, and the number of Colombian tertiary students abroad has increased by roughly 50% over the past decade to total more than 25,000 students in 2013. In Indonesia – the world’s fourth-most populous country and one of its 20 largest economies – the middle and affluent consumer classes are expected to double in size by 2020 from 74 million to 141 million, according to Boston Consulting Group. On top of rising wealth, Indonesia also has a very young population – the median age is 28.2. One-fifth of Nigeria’s massive population of 181 million people is between the ages of 15 and 24 – creating significant demand for higher education that cannot be met domestically. Nearly 1.5 million Nigerians seek a place at a Nigerian university each year, but only about half a million are able to get in. This goes a long way to explaining why Nigeria is the leading African source of international students. More than 50,000 Nigerians studied abroad in 2012, and their numbers have gone up substantially in certain markets since then: nearly 9,500 Nigerians studied in the United States in 2014/15 – a 20% increase over the year before – and 8,620 studied in Canada in 2014. Even with recent disruptions related to the collapse in world oil prices, the fundamentals in the market, including student demand, remain strong. Those recruiting for post-graduate programmes in particular will want to keep an eye on Nigeria: The British Council recently projected that of the 23 source markets it studied, Nigeria will contribute the strongest average annual growth in post-graduate student mobility through 2024 (+8.3%). 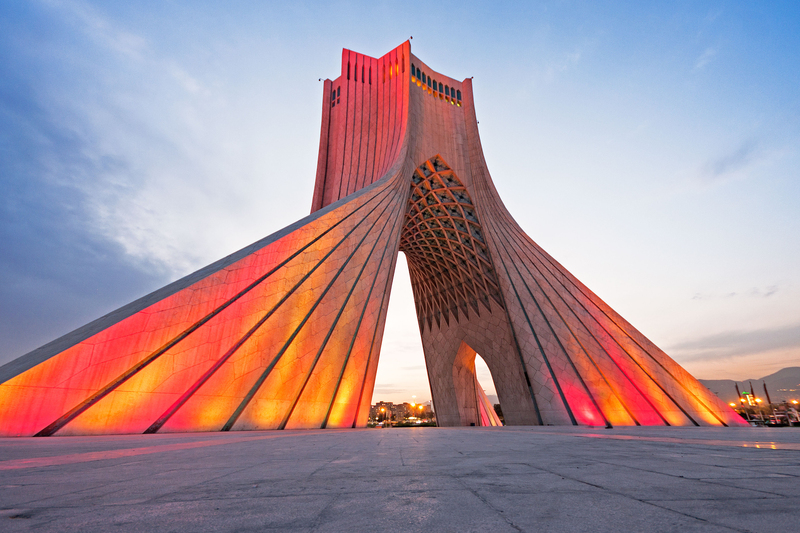 In the wake of a historic nuclear deal earlier this year, Iranian universities are working to quickly build collaborative links with universities across Europe. The country has always been interested in international education, however: Iran has been the second fastest growing outbound market for postgraduate studies in recent years (behind only Saudi Arabia), and the British Council projects continued growth through 2024. Driving this projected growth in part is the fact that domestic capacity for post-graduate students is insufficient to meet demand: 900,000 Iranian students applied for a master’s programme in 2011 but only 60,000 were accepted (6.6%). Meanwhile, only 4% of those seeking acceptance to a doctoral programme were successful. Add to this the striking fact that roughly 60% of Iranians are 30 years of age or younger and this is definitely a sending market to explore. This entry was posted in Africa, Asia, Colombia, Indonesia, Iran, Middle East, Nigeria, Regions, South & Central America, Vietnam and tagged colleges with international students, international educators, emerging markets, tertiary education overseas, universities with international students.